Cataracts affect more than 22 million Americans. They are the leading cause of visual loss in adults age 40 and older and the leading cause of blindness worldwide. In fact, cataracts are more prevalent worldwide than glaucoma, macular degeneration, and diabetic retinopathy combined. Nearly all cataracts are acquired, meaning they develop over time. Only a very small percentage is present at birth. Learn more about cataracts, cataract surgery, and intraocular lenses below. Your eyes contain a natural lens, the clear part of the eye behind the colored iris. The lens is responsible for gathering and focusing light, bending the path of light to focus on the retina in the back of the eye. The retina converts the light into nerve impulses that are transmitted to the brain through the optic nerve. The lens is mostly made of water and protein. As you age, some of the protein begins to clump together and cloud a small area of the lens, forming a cataract. Over time, it may grow larger and cloud more of the lens, making it harder to see. There are a few types of cataracts. Some develop slowly over decades. Others proceed rapidly to obscure vision. Cataracts are more common as you age, in diabetics, and in patients with glaucoma. Cataract surgery is the only way cataracts can be removed. They cannot be treated with glasses, contacts, or LASIK procedures. If left untreated, cataracts can cause blindness. Cataract surgery is the most frequently performed surgery in the U.S., with nearly 4 million procedures performed each year. For most people, cataract surgery can restore their vision to between 20/20 and 20/40. During cataract surgery, your ophthalmologist will create a very small opening in the cornea to access and remove the cloudy lens and replace it with an artificial lens implant called an intraocular lens, or IOL. Cataract surgeries are among the safest surgical procedures completed today and offer patients much better visual acuity. Thanks to the use of preoperative surface optimization and advanced measurement technology, the surgery is more predictable and accurate than ever before. Once the cataract has been broken up, laser cataract surgery allows the surgeon to use a lower level of ultrasound energy to remove the cataract. Using a laser instead of the traditional ultrasonic tools has many advantages for both the surgeon and the patient. Laser-assisted cataract surgery can improve the speed of recovery from cataract surgery with minimal risks. The laser may improve your visual outcome. To find out if you’re a candidate for this revolutionary procedure, make an appointment with one of our board-certified ophthalmologists at Jaffe Eye Institute. The physicians of Jaffe Eye Institute have a long history in lens replacement. Our founder, Dr. Norman Jaffe, was one of the first three surgeons in the country to begin using lens implants back in the 1960s and has since led physicians across the United States and the world in this practice. Before your surgery, your eye doctor will evaluate the shape of your eye to determine any nearsightedness, farsightedness, or astigmatism that might be present. The curve and shape of your eye must be measured to help your doctor choose the correct strength lens to implant so you can see as well as possible. Many patients benefit from the placement of special intraocular lenses (IOLs), a type of artificial lens implant that replaces the eye's natural lens when it is removed during cataract surgery. 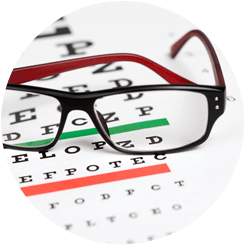 IOLs can eliminate the need for reading glasses by providing a greater range of vision afterward. It is like two procedures in one, as you get both vision correction and removal of the old, degenerated lens. Lens technology is continually advancing, and patients now have more choices than ever when it comes to selecting what type of lens will be used during their cataract surgery. Your eye doctor will help you choose the best IOL for your visual needs, which depends on multiple factors, including your lifestyle (occupation, hobbies, etc.). At Jaffe Eye Institute, we are proud to offer some of the best lens options on the market today including the toric IOL's, which is ideal for patients with cataracts and astigmatism; and the Tecnis Symfony® lens, which increases the range of clear vision after cataract surgery. We are impressed how many of our patients are reducing or eliminating the need for eyeglasses through the choice of the Toric and Symfony lenses. They have great benefits and very low side effects. 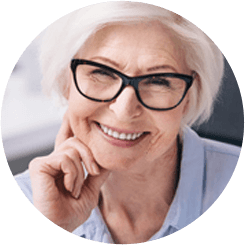 The Tecnis Symfony® intraocular lens (IOL) is good news for people with cataracts and those who may have presbyopia, a condition that causes nearby objects to become blurry. Approved by the FDA in July 2016, this lens is the first in a new category. It expands the range of vision using diffractive optics in a different way than earlier multifocal lenses. The side effects are similar to traditional IOLs, while patients enjoy an extended range of vision that allows many to be free from glasses. Another version of the lens, the Tecnis Symfony Toric IOL, corrects astigmatism as well. Many of our patients opt for this lens, as it effectively improves both nearsighted and farsighted vision, decreasing the need for glasses following cataract surgery. At Jaffe Eye Institute, our goal is to improve your quality of life. We understand that cataracts are a vision problem that nearly everyone will face as you age. If you are concerned that you or someone you love may have cataracts, contact Jaffe Eye Institute in Aventura, Florida at (305) 945-7433 or in Delray Beach, Florida at (561) 499-0232 to schedule an appointment with one of our board-certified ophthalmologists, or you can use our online form to request an appointment.